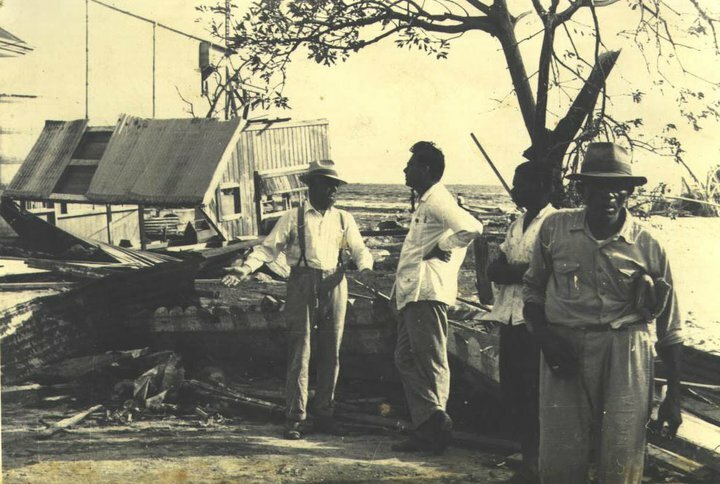 Hurricane Hattie strikes Belize on October 31, 1961, killing more than 400 people and leaving thousands homeless. Almost half of Belize City was demolished by the storm. The storm that would become Hattie had formed two weeks earlier in the Atlantic Ocean and then moved slowly west toward Central America. When it reached the coast of Belize, known at the time as British Honduras, it was a Category 4 hurricane with sustained winds of 140 miles per hour and gusts reaching 180 mph. 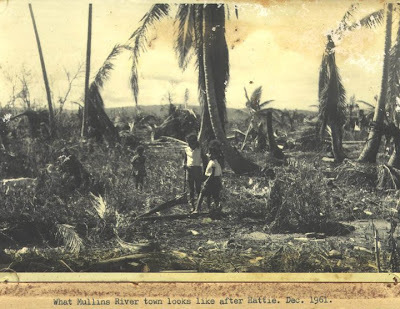 It was the strongest storm to hit Belize to date. With accurate weather predictions still in their infancy, an attempted evacuation was only partially successful. 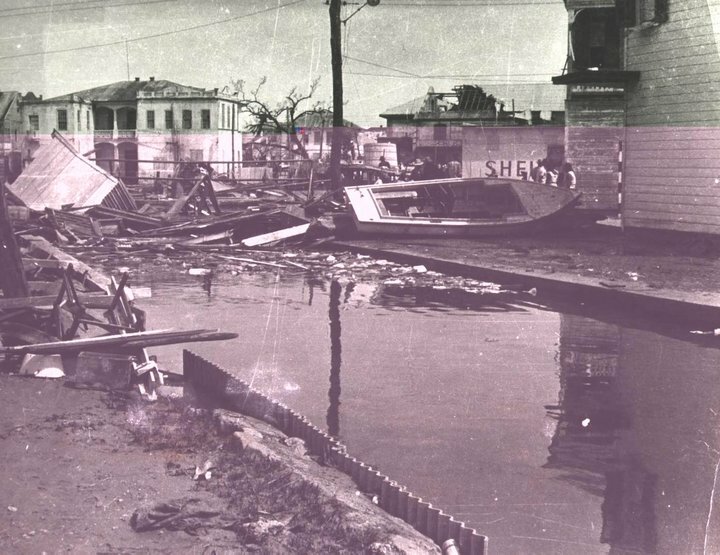 The barrier islands of Turneffe and Caye Caulker were totally submerged by the storm surge. Hattie then brought a 12-foot surge to the mainland, flattening all buildings near the shore. 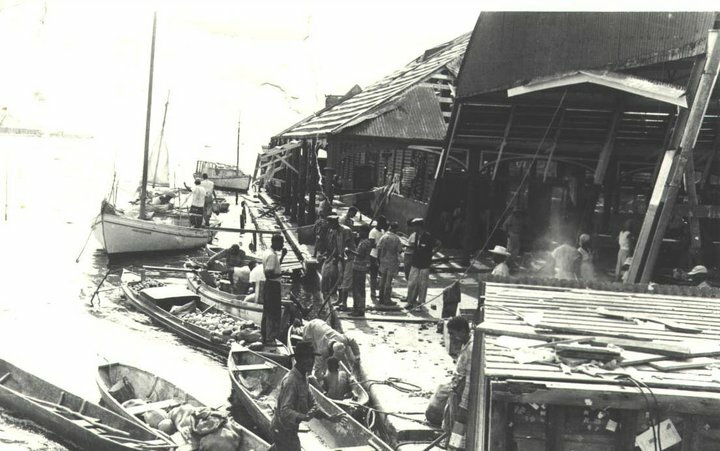 Stann Creek, a small fishing village on the coast near Belize City, was completely destroyed. 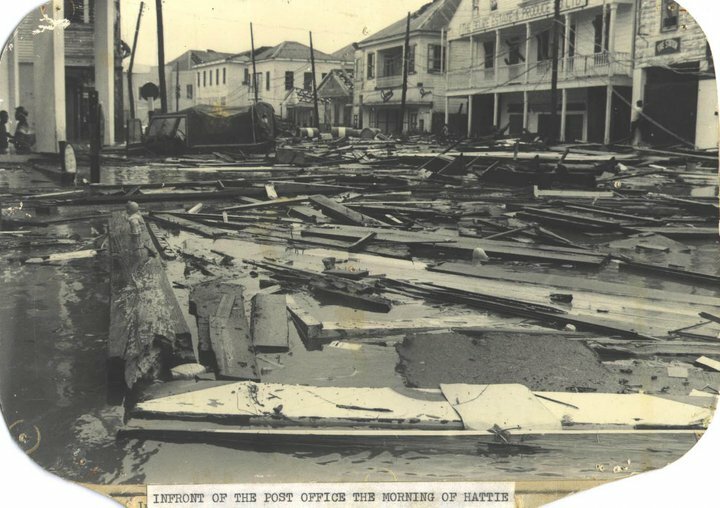 Following the hurricane, a village was built on the outskirts of Belize City and named Hattieville. Below are some amazing photos of the destruction in Belize City caused by Hurricane Hattie 49 years ago. 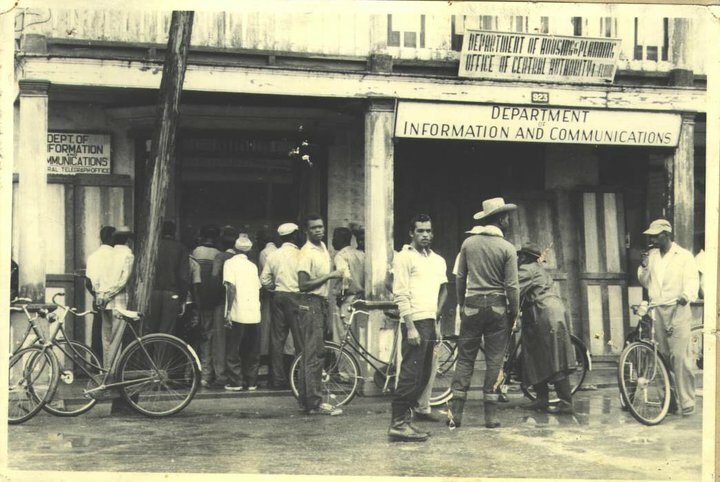 Hattie victims line up at Department of Housing and Planning: Office of Central Authority, and Department of Information and Communications. The building in the center was the Royal Bank of Canada, today the Belize Bank. At the rear left of the photo you can see the Supreme Court building with its signature architecture. The large building on the right with the sign was Belize Estate and Produce Limited. Not sure where this building was or is in Belize City. Someone has suggested it may be the Peace Corp building... but I really can't say. Any clues anyone? This building, says CBA engineers Philip Waight and Paul Satchwell, fell down off its posts and ended up partly in the street. Waight's family home also fell off its posts, he said on The Adele Ramos Show on November 2. This photo is smack downtown in Belize City. 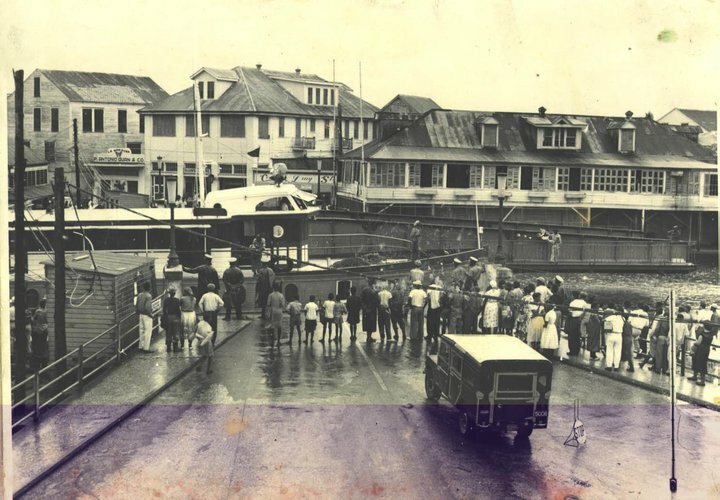 The building to the right is Hofius Hardware - to the left is the present-day First Caribbean International Bank on Albert Street. These men were discussing disaster relief efforts 3 days after Hattie. On the Barracks... how our ladies did it back in the day and they looked uncomplaining! Relief via helicopter airlifted to the Memorial Park in Belize City. Linda, I can't believe I was only a child and remember this like it was only yesterday. Lindae: "Can't forget it. 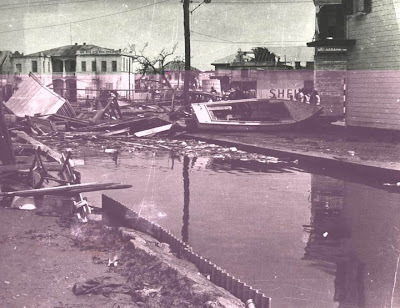 I was eleven yrs old living in Corozal at the time and we got away with that Hurricane. 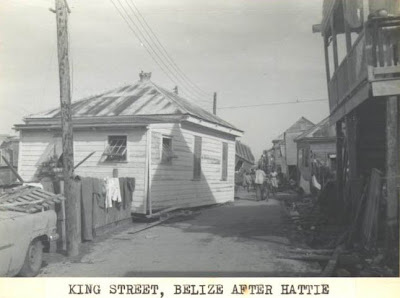 Belize City got it head on and from that time Hattiville was born and Beizeans were told to start moving out of Belize because it was getting dangerous to live. 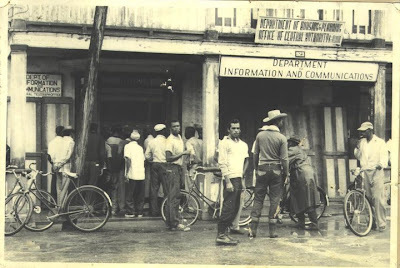 Most Government businesses and offices were moved out and away to Belmopan later on. My grandmother was a young 66yrs old tough lady and my mom was 32yrs old and beautiful. Those were the glory days. All we had to do was be alive and we were happy. 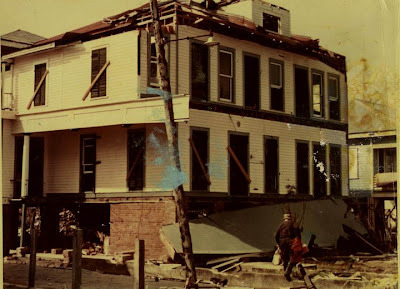 I also remember Hurricane JANET. I was a little younger then. Those were the days." Good Linda. Awesome and informative as always. Thanks for the share and hope your Thanksgiving was as good as it could be. Have a very great and blessed week. It is a superb article Linda. 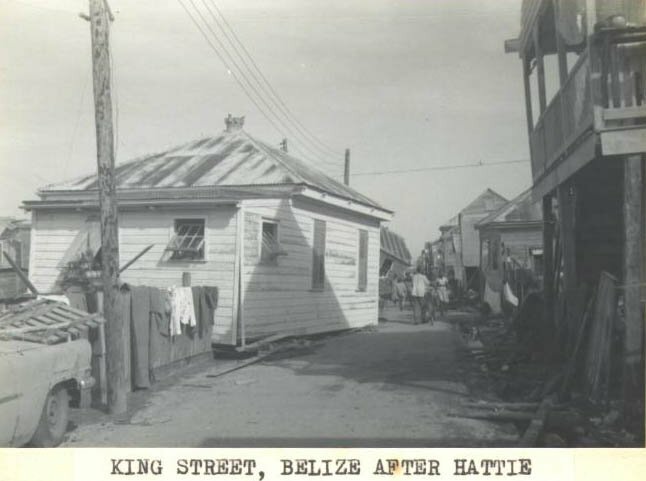 My bith date is 12/12/1961 & I would have been born in Belize but for Hattie. My father was in the British Army, met, fell in love & married my mother. A beautiful Belizean lady. Her maiden name was McFadzean. 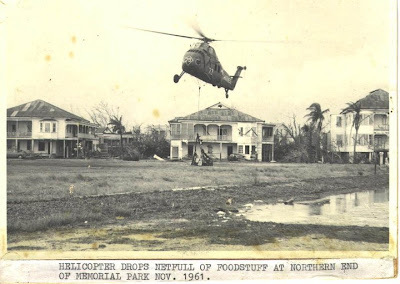 The army evacuated her to Jamacia where I was born. Dad had to stay to help to deal with the unfortunate death & the clean up. I'm visiting Belize for the first time in December. I still have some photos that my father took at the time. Great piece of history. These pictures are incredible. Great pictures and history. Right now Hurricane Richard made a bad name. I may wait a little while before I go back down. Great post Linda. I am Rosaline from Dangriga. 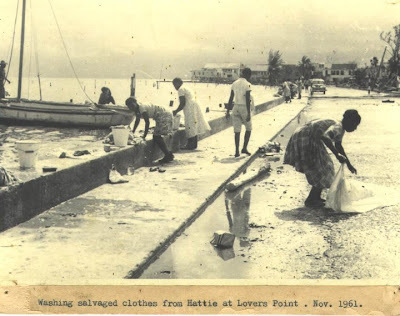 I was eleven years old when hurricane Hattie hit. I can still vividly remember everything, especially since we lost our home and had to swim to the neighbor's next door for safety. I could remember the adults putting the children on tables so that we could be up high since the water was coming into the house through the flooring. I was in the Royal Navy aboard HMS Troubridge, I remember we picked up 200 Soldiers in Jamaica and took them to British Honduras as it was known then . It was a terrible sight, not much standing and bodies every where. People were hungry and homeless. We did the best w could. I managed to help get the bakery going after cleaning all the mud from the tins. Many stories can be toldabout this time in Belize. . 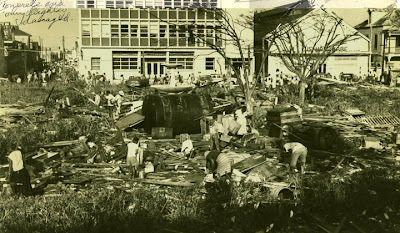 I was too young to remember the details from this hurricane, but heard all the terrible stories. 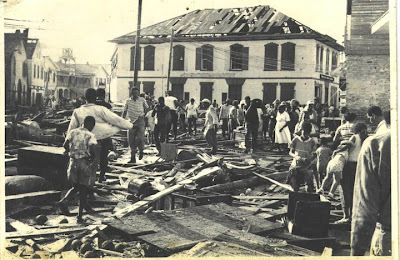 I hope that Belize City will never again be hit by such a powerful storm. This was total devastation! Thanks for sharing Ms. Linda!